hen few years ago most companies „upgraded” their USB converters/USB DAC abilities from 16bit/48kHz to 24/96 few decided to resist this trend. Maybe you remember the UD-1 Pro D/A Converter by King Rex? It used Burr Brown PCM2702 chip, even then already outdated. And yet it offered an amazing performance which I described in my review getting myself „under fire” from those „High Fidelity” Readers who appreciated only cutting edge solutions. It turned out that I wasn't the only one who truly appreciated such „outdated” solutions as Bent Holter, an engineer from already renown, although still fighting for its place on the market, Norwegian company Hegel, talked during presentation on High End Show in Munich about how an older generation, synchronous chip, if properly implemented, would sound much better than a newer generation, asynchronous one. Each manufacturer though, has to follow and fulfill market's or customers' expectations. And the trend on the market has been recently clear – an ability to play high-resolutions files seems a must (the higher the resolution the better). And, in theory, it makes sense. Today's standard requires that D/A converters accept PCM signal of up to 24/192 resolution. Manufacturers who want to impress potential customers offer DACs that accept 32 bit/764 kHz PCM signal and up to DSD256. Music servers made today have to fulfill the same requirements to be truly up-to-date. 1. A streamer – it sports an Ethernet port and so it can play music streamed from network. 2. A D/A Converter – there are as much as six digital inputs, including three TOSLINKs, RCA, BNC (all S/PDIF) and AES/EBU (balanced version of S/PDIF). 3. A preamplifier – a digital one (with only digital inputs and digital volume control) but still. So how should we call this device? I guess that over time some new classification of audio products will be introduced/agreed upon, but for now there isn't a widely accepted one. 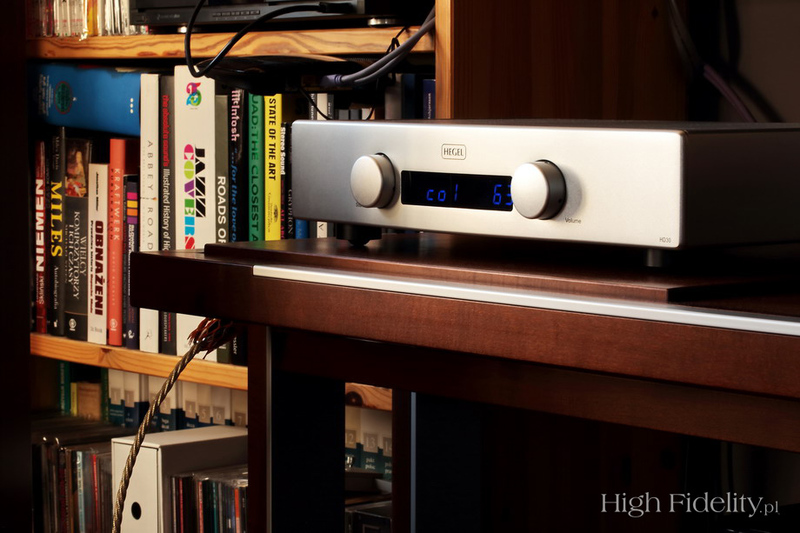 Naim chose a simple solution for their NAC-N 172 XS, a device with exactly the same functionality as Hegel – they called it a streamer, preamplifier and D/A Converter in a single body. And yet, Naim puts this device among other „Stereo Preamplifiers” and starts its description with: „For a start, the NAC-N 172 XS is a very high performance and inherently musical preamplifier”. Only then they also name it as: „streaming preamplifier”, pointing out its primary function – first of all it's a preamplifier with streaming function. Manufacturer calls this functionality: „DLNA Digital Media Renderer”. Streamer's capabilities are limited to: PCM (WAV, AIFF), FLAC, Ogg and mp3 files with maximum resolution of 24 bits and 192 kHz. Signal might be delivered via Ethernet ports or using AirPlay. Connecting a DAC to a system seems nothing special at all, nothing to elaborate about. But obviously for creators of HD30 the DAC function is the most important one and thus it is called so. This review is a world's premiere of this device. 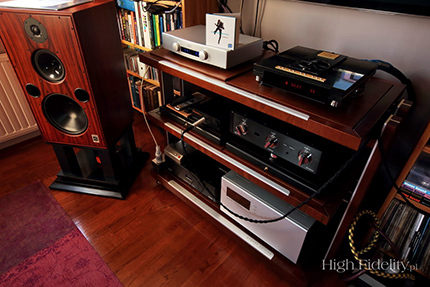 HD30 worked as DAC in my reference system with two digital sources: Ancient Audio Lektor AIR V-edition CD Player and Chord Red Standard Mk III. Signal was delivered using Siltech Eagle Eye 75 Ω digital cable. My trusted HP Pavilion dv7 with Windows 8.1, 8 MB RAM, 128 GB SSD + 320 GB HDD and Jplay software player worked as an alternative source. DAC was powered using Crystal Cable The Absolute Dream power chord. Comparison between balanced (XLR) and linear output was performed connecting both directly to the inputs of my Soulution 710 power amp. For both connections I used Acoustic Revive interconnects: RCA-1.5Triple C-FM and XLR-1.5Triple C-FM. Hegel's preamplifier section was assessed via connecting it directly to two power amplifiers: Soulution 710 and Accuphase P-6200, and later using two preamplifiers: Ayon Audio Spheris III and Accuphase C-3850. Bach, Violin Concertos, dyr. Yehudi Menuhin, EMI/Hi-Q Records HIQXRCD9, XRCD24, CD (1960/2013). Kortez, Bumerang, Asfalt Records JB 029 2CD, CD (2015). Led Zeppelin, Led Zeppelin (I), Atlantic/Warner Music 826325, “mini LP”, CD (1961/1994). Michael Jackson, Xscape, Epic 3053662, CD (2014). Pat Martino, Hombre, Prestige/JVC VICJ-41574, K2 CD (1967/2006). I've worked in audio industry for the last 20 years. When I worked in a recording studio and with concert sound systems I used to think that describing sound was easy, that everybody spoke the same language and appreciated the same sound features thus easily separating “good” sound from a “bad” one. Over time I learned that most of my friends and professional colleges couldn't hear some things or just wanted not to hear them. Also vocabulary used to describe sound was rather limited thus not allowing to convey full information about it. In this context entering the world of a home audio systems was very exciting as I finally could use tools to describe what I heard that were unacceptable in “pro audio” world. But this initial delight was only temporary as I realized that despite the fact that vocabulary describing hi-fi had been developed for 50 years there was still no one standard language that would allow to create a description that would be understood in the same way by all. Listening to HD30 this old realization came back to me. Every now and then I receive emails from our Readers who claim that Hegel products often offer harsh or bright sound. When faced with such opinions that contradict my own experience with Norwegian devices I simply don't know what to say. I can hear something totally different and I would never say that Hegel sounds “bright”, or “harsh”. So when listening to HD30 I also tried to find a reason of such a different perception of Hegel sound by some people. It is hard to say whether I found the right ones, but let me give you some suggestions that might be useful for you next time you listen to one of their products. 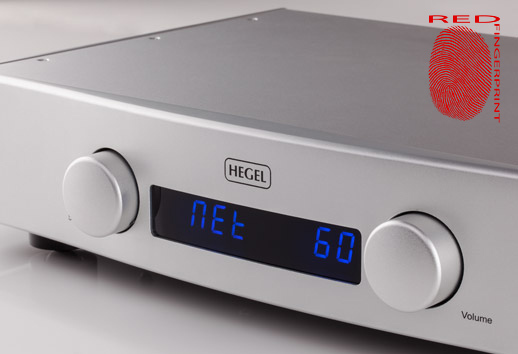 Let me start with a statement that Hegel amplifiers offer darker sound than HD30. What I mean by that is that the latter delivers amazingly clean midrange, especially its upper part, which forbids us from perceiving this sound as “warm” - which is how I perceived H70, H100 and H200 (and a pre+amp system I’ve reviewed once for Polish „Audio” magazine). More careful analysis led to discovery that in fact the general tonal balance was very similar in all these devices and what made a difference was the quality of (upper) midrange – HD30 performed in this area better than any other Hegel component I knew. This Converter delivers very open, clear, dynamic sound. Its presentation is remarkably “civilized” - just a few years ago I wouldn't have used this description for any digital device and today it can be used to describe more and more of them. This level of clarity of the sound combined with impressive dynamics could turn some lesser quality systems or those with poor tonal balance into “screamy” ones. When one delivers to loudspeakers a signal very rich with information but not a very clean one, or with some shifts in tonal balance, or there is some problem within a system with balance between resolution and richness of the sound, then the result – sound coming from speakers, might be a bit too “heavy” in the upper midrange. But if one uses HD30 in a well performing, well balanced system using unbalanced cable and an external preamplifier (I'll get back to that in a moment) one should hear a smooth, creamy sound with w wonderful, open midrange. As I already said – this is an unusually “civilized” sound without even so much as a hint of any harshness or brightness. Whole range is quite rich, including bass that is also nicely extended and properly defined right to the very bottom. There simply can not be any harshness in the sound because HD30 does the same thing as all Hegel products – it smoothens out the attack phase. I remember CD and SACD Players made by Wadia in their best period. If I didn't know any better I would have said that Wadia just released a new product. These Players offered quite a characteristic performance, but it was a very enjoyable one. I think they could be a main source in many systems still today. HD30 follows old Wadias' track. 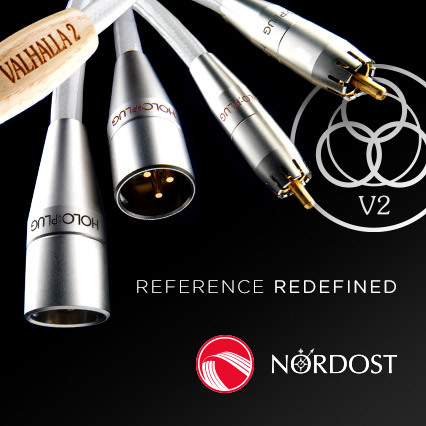 It delivers a “modern” performance, meaning that it isn't either “tube” nor a “solid-state” one. When I compared it with tube output of my Lektor CD Player I couldn't really tell that these two devices used different technologies. Yes, the Ancient Audio CD Player is a better digital source. But having a chance to compare these two sources directly in the same system I can boldly claim that the difference is surely not a great one.